This is a title that most Japanese recognize and can relate to. “This is a pen” is the infamous line that is virtually omnipresent in English textbooks in Japanese middle schools, and the prime target of mockery by critics on Japan’s English Education system. The common hearsay is that “this is a pen” is the first complete sentence that Japanese students learn when they first study English. Unfortunately, “this is a pen” is barely used in a meaningful daily conversation anywhere in the world, and in any language. Such grammatically correct, yet impractical lines, so often appear in Japan’s English textbooks that most Japanese students end up memorizing such useless expressions, neglecting the more important aspect of conversation. 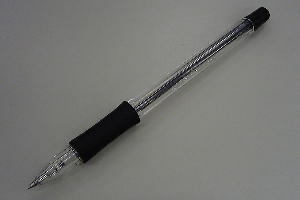 However, today in my seminar class, Professor Snowden bravely defended the “uselessness” of the line “this is a pen”. I found it pretty intriguing and surprisingly convincing, and so I decided to write it here to share with everyone. Indeed, how many times in your life have you ever used the line “this is a pen” in a meaningful conversation? Zero, perhaps. It is undoubtedly pointless to have students memorize lines that do not serve much of a purpose in daily life. However, think about this: If you were to create another sentence to teach grammar to English beginners, what would it be? Greeting expressions such as “Good morning” or “Good afternoon” are, without a doubt, used often in daily conversations, but if you want to teach grammar in a simple line, what examples can you come up with? Some possible examples are “My name is Dennis”, “I am twenty four years old”, “I like to learn languages”. These lines, however useful they are, are only applicable to me. You cannot make students memorize these lines by hard because most people’s names are not Dennis, nor are they twenty four years old, nor do they like to learn languages. Like what Professor Snowden says, these examples are useful to some people (to whom they are true), but useless to others. If you want to make a sentence for everyone, it should be either useful to everyone (which is highly impossible), or otherwise, useless to everyone (so that it is fair to everyone)! “This is a pen” is not a stupid idea, however useless it might be. Making people memorize “this is a pen” would serve more practical purposes than teaching people to say “I am twenty four years old”. Moreover, from a simple “this is a pen”, one could substitute the word “pen” with other nouns, or even add adjectives to describe the noun. Therefore, “This is a pen” can extend to become “This is a red pen” (now this becomes more useful), or “This is my pen” (this is even more useful! ), or “This is an iPod” (when introducing new technology/ things to others). Professor Snowden ended up saying “I’ve stopped complaining about ‘this is a pen’.” And I must agree, too, that I’m pretty convinced by the teaching pragmatism of the silly line that has been made the culprit for the poor English level of the Japanese. You might find it absurd at first, but take some time to think of it. It does make sense. To add on: “This is a pen” is probably one of the most basic grammar structures in English, or any other language. Another phrase, say “I am 24 years old” includes a “first person pronoun” and grammar changes with pronouns. Moreover, for “This is a pen”, you can substitute almost any noun with “pen” to repeat the exact same grammar structure. And it all makes perfect sense! Also, “this is a pen” is more universal than “I am 24 years old” because “this is a pen” does not change with time. So, anyone, at any time, can use that phrase. But “I am 24 years old” is strictly restricted to someone who is at that age, and even that person cannot use it after one year. 졸업 후에 뭐 할 거 야? ≈ Comments Off on 졸업 후에 뭐 할 거 야? 데니스, 내년에 졸업 할 거지? 졸업 후에 뭐 할 거야? 취직은 정해졌어? 대학원에 진학할 거야? 요즘 나한테 이런 질문을 많이많이 물어서, 나도 그 대답을 잘 몰라서, 대답하기 싫어 졌다. 근데 현실적으로 생각하면 그 문제에대해서 정직하게 돼야 된다. 8달 후에 진짜로 졸업하고 일본에 남는거나 싱가폴에 돌아가는 거나, 아니면 다른 나라에 가는 거나, 가능성이 많이 있다. 그러나 취직 안하면서 비자 기간이 지나면 못 쓰다. 해외에 가려 해도 돈이 없다. 더 이상 부모님에게 의지하고 싶지 않아서, 그렇다면 자신으로 일을 찾아서 돈을 벌기 밖에 안 된다. 졸업 후에 유럽에 가고 싶다. 한국에 가고 싶다. 남 아메리카에 가고 싶다. 근데 일본에도 남고 싶다. 가고 싶은 곳 많이 있지만, 어떻게 하면 그런 돈을 받을 수 있을까? 해외 인턴싶을 하면 돈을 받다가 해외에 살 수 있는데, 그런 게 지금 아직 없는 것 같다. 부모님이랑 이미 2달간 얘기 안했다. 가족 사람들이 다 일이 있어서 바쁜 것 같은데, 나만 일이 없어서 돈을 많이 써서 미안하다. 이런 고민은 아무나 가지고 있을 것 같죠. 계속 고민합시다! Ahora, es que empecé de estudiar el alemán y el indonesia, me ocupo recientemente hacer los deberes de los dos idiomas nuevos y tratar de memorizar las palabras. Entonces no podía encontrar ningún oportunidad hablar ni usar el español. Hoy, cuando estaba sentándome en el primer piso del edificio de mi facultad, vino y me habló un amigo. Se sentó al lado de mi y empezó de hablar en español. Al primer no estaba seguro que debo hacer, pero después yo también empecé de hablar en español y nos hablamos juntos en español. No lo había hablado por mucho tiempo entonces me divertí mucho y me alegro que no había olvidado el español. Sobre todo, después de hablarle, me dio la cuento de yo tenga ganas de ir a España o un país hispanohablante. Recientemente estoy muy preocupado de mi futuro, sobre todo que voy a hacer después de terminar la carrera. Casi todos mis amigos ya han buscado un trabajo y sus futuros son decididos, por lo menos por unos años. Pero para mi, no estoy seguro todavía. No puedo verme, y no puedo imaginar donde yo estaría, que hacía.. si me quedaría en Japón, o si iría al otro país. Yo pensé que no sería una idea mala ir a Europa, o Latinoamérica, claro si tengo el dinero para hacerlo. No he vivido en un país dentro de Asia. He vivido solo en Singapur y Japón. Tal vez debo ganar la experiencia de vivir en otros paises. Pero, bueno, no estaría una cosa facíl. Tengo que encontrar un trabajo, por que si no, tendría que confiar en mis padres para darme el dinero. Por lo tanto…. ¿quíen sabe? Tal vez estaría en Europa o Latinoamérica el año próximo. La vida es lleno de incertidumbres. Solo tengo que vivir la vida ahora. Ich habe um halb acht Heute aufgestanden. Dann habe ich gefrühstückt. Meinstens esse ich einen bröt mit einen Kaffee, aber Heute habe ich gekauft auf dem Geschäft. Dann habe ich in die Universität gefahren. Ich habe Freunde getroffen und mit sie gesprochen. Ich mag gern mit Freunde sprechen. Samstag gehe ich nach Shibuya für eine Kompilation denn ich trete im Fernsehen Internet auf. Ich weiße noch nicht was muss ich sprechen aber es ist lustig. Saya belajar bahasa Indonesia di universitas. Saya datang dari Singapura, dan banyak orang berbicara bahasa melayu. Saya tahu kata sedikit bahasa Melayu, tetapi saya mau belajar lebih banyak. Bahasa Indonesia tidak susah, tapi saya harus ingat kata banyak. Saya mau belajar lebih banyak tapi saya tidak punya waktu. After a 9 1/2 hours night bus ride, which was surprisingly comfortable because we had booked a more expensive bus ticket, we arrived at the small town of Taro of Iwate Prefecture, a few hundred kilometres north of Tokyo, and just a few kilometres away from the costal areas that had been destroyed by the tsunami about four months ago. There were four of us- me, Peter Draw, Professor Baba (who coordinated with the local schools) and Shinn (a Singaporean friend who came to take photos for us). The moment we stepped out from the bus and took our luggage, we were greeted by a local, who was pinching crumbs of bread to feed pigeons on the street. He spoke with a local accent so strong that I could barely understand some parts. But that was the biggest signal for us- we had arrived in Iwate Prefecture in the Tohoku region, a place that had grabbed news headlines in every newspaper in every language just a few months back. And it served as the biggest reminder of our purpose there- to deliver the drawings we had collected, and to spread the glimpses of hope to the children of the affected areas of the Japan Disaster. I smiled back at his generosity and kindness, as we proceeded on to a nearby standing soba shop where we had soba for breakfast. We then washed up and discussed about the details of our plans, before setting off in a taxi to the elementary school Professor Baba had contacted for us. It was a long 40 minutes ride through the desolate ruins left behind by the aftermath of the disaster, into the green mountains and then into a huge piece of farmland, where a exquisitely designed wooden building stood in tranquility and indifference to the wrath of nature. 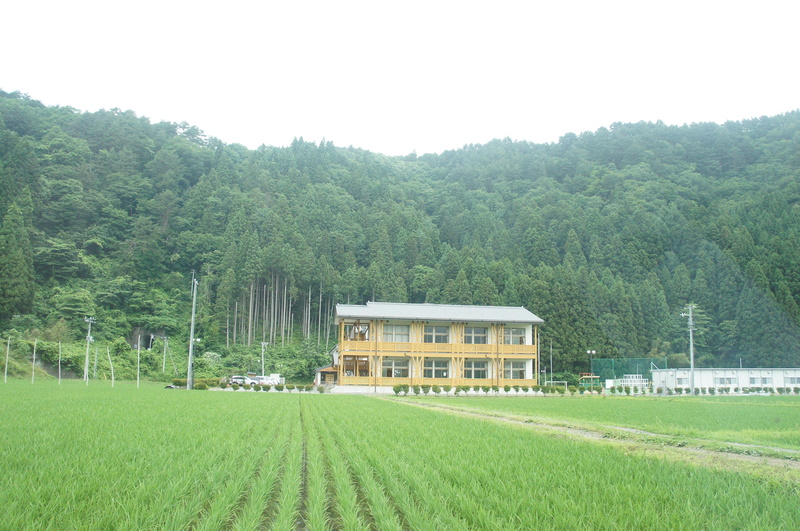 The school is called “Taro-daisan Elementary School. The school Principal Araya came out to welcome us and proudly introduced us to her school, claiming it to be the most beautiful school in the prefecture. We followed her in to the school and took a rest in her office, where we were promptly served with tea. She then started taking out magazines, photos and newspaper articles that told stories about her school, her mother and her experiences. This was a common trend among all the people from the affected regions I have met so far. All of them seem to be eager to tell us stories, the lessons they learnt and their experiences, as if they were certain that we have to know them for our own sake. Indeed, not many people have such experiences, and to be survivors of these disasters, they must have been given the sacred responsibility of passing the message to those ignorant. Principal Araya then told us stories of her students- no one in the school had lost their families, but one of them had lost her home in the tsunami. There were only 16 students in the whole school, divided into three classes (Grade 1 and 2, Grade 3 and 4, Grade 5 and 6). She then introduced us to her father, who happened to be the first principal of the school. She recollected the times where she was still young and how her father sang the school song to her as a lullaby, and how she already knew the school before entering the school, and how it was all fate that she had become the 16th principal of the school. Her mother’s story was more special. Her mother had experienced the tsunami 78 years ago (she turns 90 this year), where she lost her whole family of 7. Being left all alone after the tsunami, she lived and grew up with a relative in Hokkaido. Later on she got married and gave birth to 6 children, out of which Principal Araya was one of them. Principal Araya told us that her mother’s dream was to give proper education to her 6 children. Having lost her whole family when she was 11, and considering that she must have struggled to make ends meet, her little dream must have seemed like a mountain to climb. To my pleasant surprise, Principal Araya then made the widest grin and told us proudly that our of the six children, four of them are now school teachers/ principals. Dreams are not mere illusions, they do come true. I felt a tear welling up. We then had interaction sessions with the students where we let them draw pictures of their dreams. (All of these compiled into a video at the end of this entry) After the interaction session, Principal Araya brought us to her old home that had been destroyed by the tsunami. We stood in the middle of a piece of flatland, which we were told later that there used to be rows of houses along the entire stretch of road, and all of them had been washed away, and removed by the rescue teams. Her house still stood there in solitaire, albeit with paint spray on the walls that announced that it would be hacked down in due time. That night we stayed at a business hotel in Morioka, the city centre of Iwate Prefecture. We then headed off to Fukushima Prefecture the next morning on a Shinkansen. We arrived at Fukushima Station, where we met up with Bush, a Taiwanese friend who came to help us, and Professor Sato, who had liaised with the school we were going to. Professor Sato brought us to his car where he drove us to nearby evacuation centres, where hundreds of people still reside 4 months after the disaster. He then introduced to us the prefecture enthusiastically, and I was almost choking with a sense of guilt that we did not allocate enough time for him to give us a proper tour of his hometown. 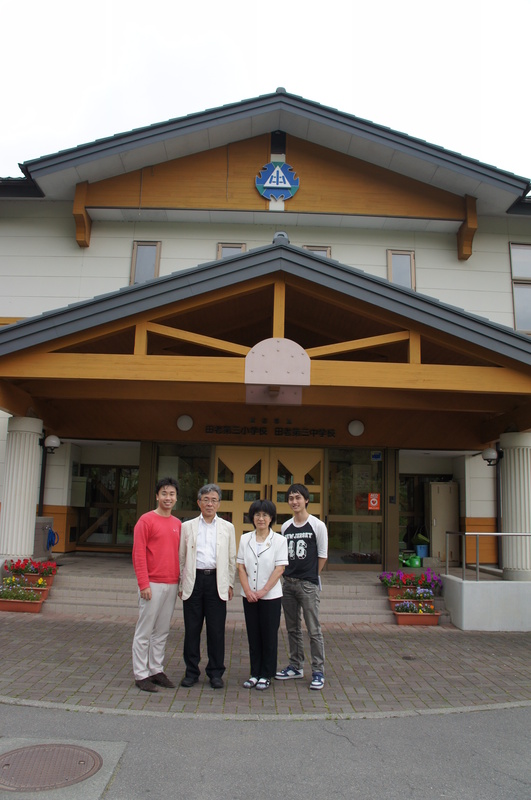 We arrived at Sabara Elementary School, where Principal Tamura came to welcome us warmly. We then had a little talk in the principal office before heading off to interact with the children. Sabara Elementary School initially only had 20 students in the school. However, after the nuclear plants spelled trouble for residents in the vicinity, many people evacuated towards the city centre of Fukushima. Not surprisingly, this year in Sabara Elementary School’s entrance ceremony, 100 students showed up. Coming to think of it, close to 80% of the students were transfer students, but despite having only met each other for 2 months, many of the students seemed to have integrated into their new environment, something that probably brought a huge relief to Principal Tamura. How many of us have dreams to become saviors of our families? It is in times of crisis like this where we realize the importance of our families and friends. This boy must have understood it well, at least much better than I did before listening to his reasoning.